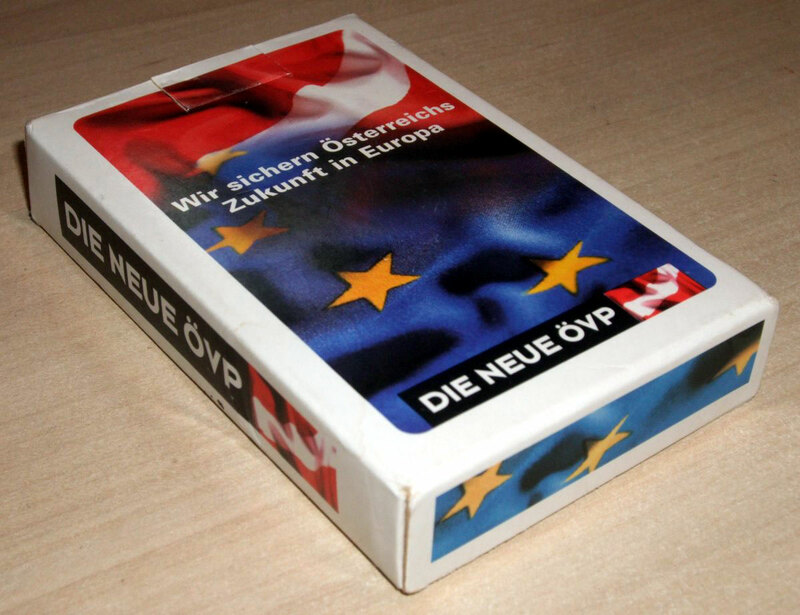 Promotional deck for the Austrian People’s Party (ÖVP) which carries the slogan “Wir sichern Österreichs Zukunft in Europa” which translates as “We secure the future of Austria in Europe”. The party’s website states that the principles governing their approach to society and politics are based on the Christian commitment to the dignity of the human being. 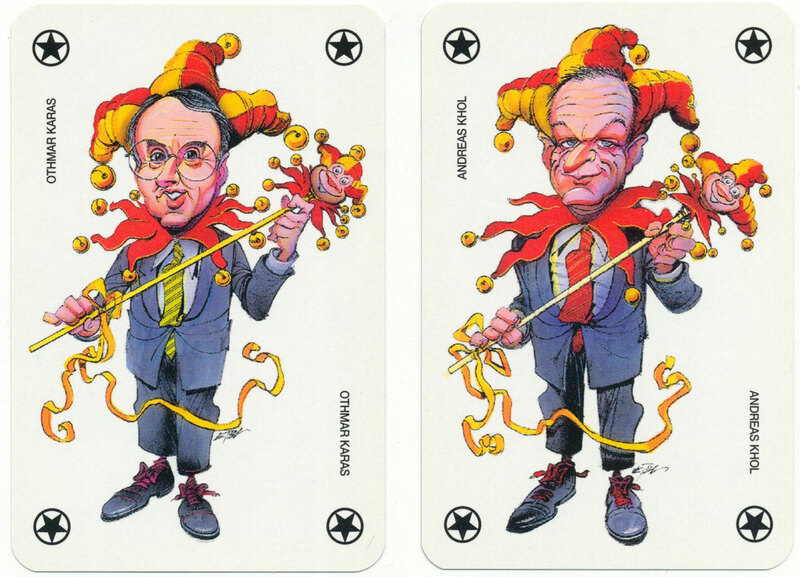 The indices are in German (B,D,K) and the courts and jokers all carry caricatures of (then) politicians from the Austrian People’s Party (ÖVP). 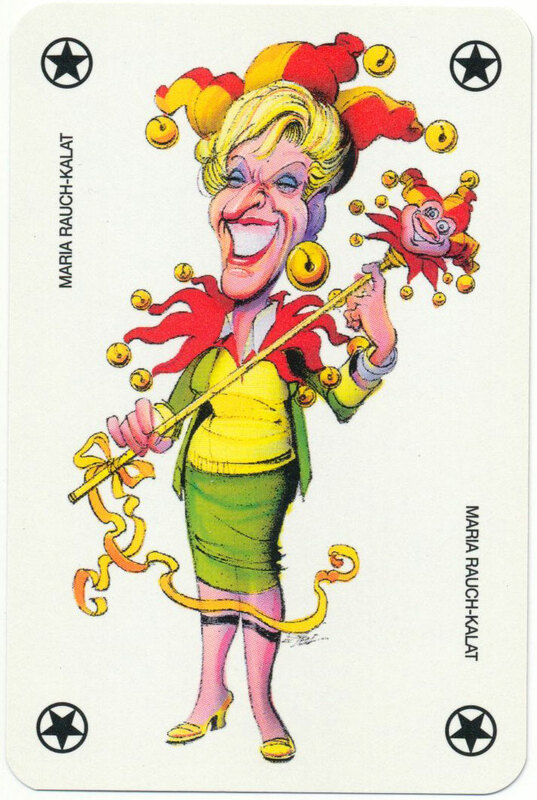 Above: promotional deck for the Austrian People’s Party (ÖVP) printed by Piatnik, 1996. Images courtesy Matt Probert.